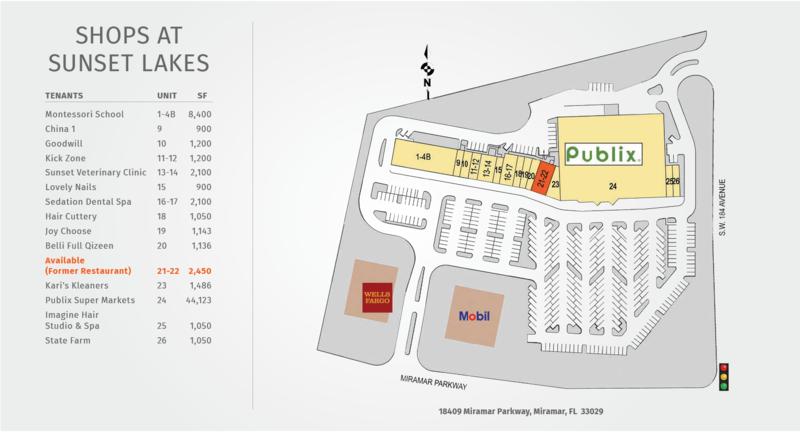 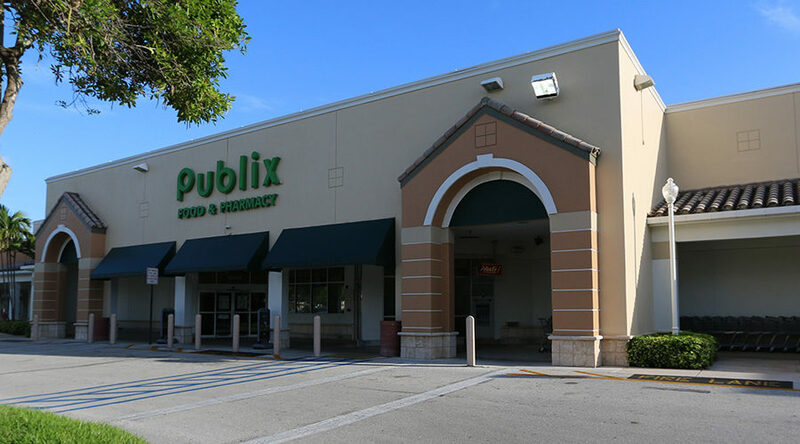 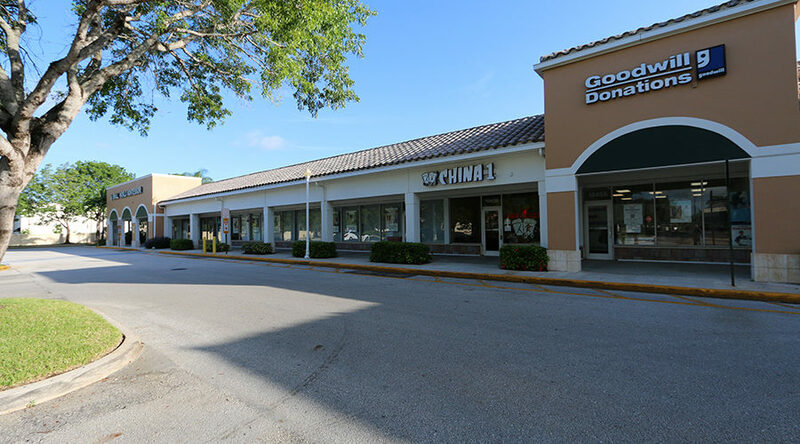 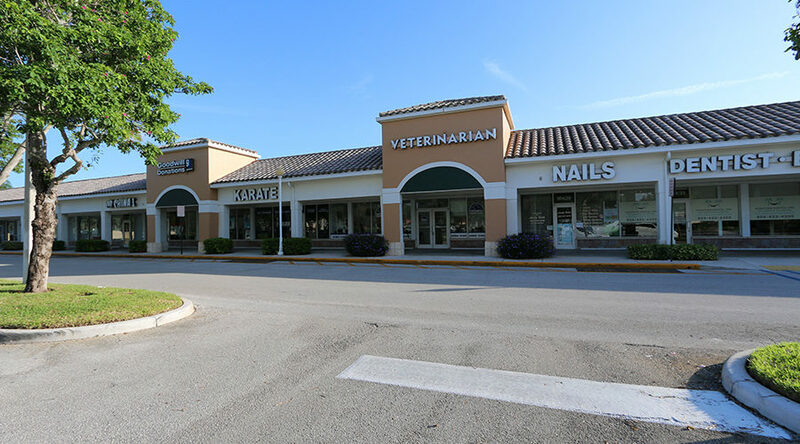 Located at the NW corner of Miramar Parkway and SW 184th Ave., this Publix-anchored center serves western Miramar and the communities of Sunset Lakes. 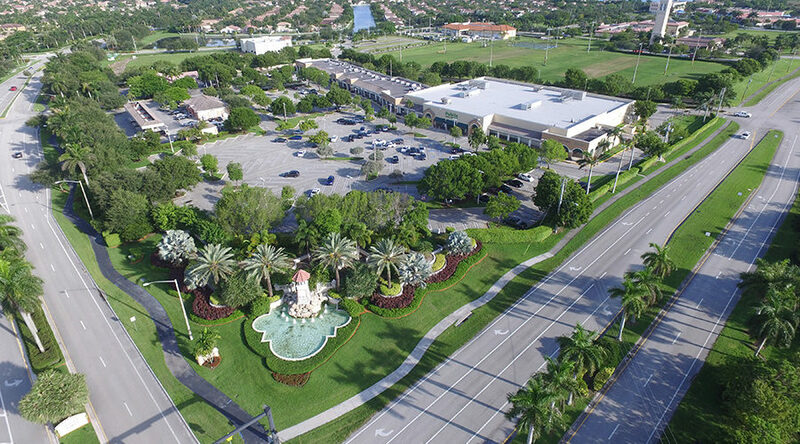 Tenants at the center benefit from the affluent surrounding communities and minimal market competition. 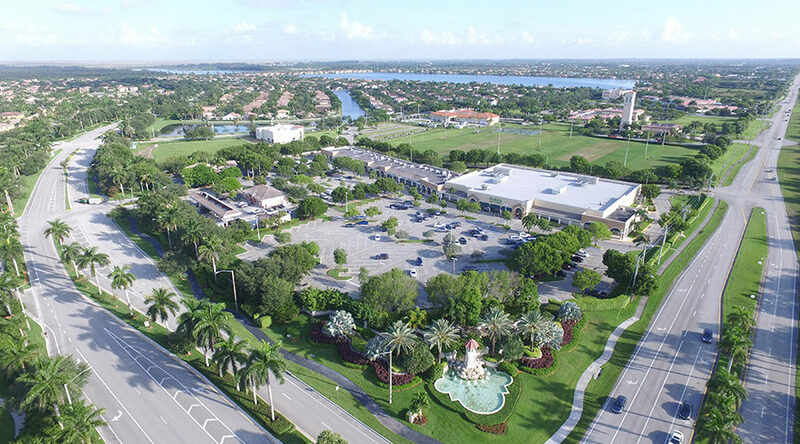 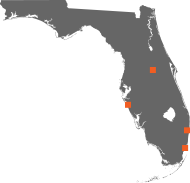 Small World Montessori School recently opened an 8,400 sq ft learning facility at Sunset Lakes, generating additional daily customer traffic at the center.